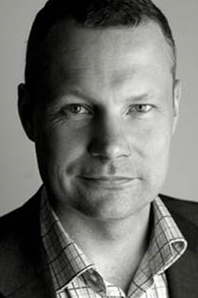 Newstag CEO and Founder, Henrik Eklund, was AP’s Director of Digital Partnerships and Distribution in Europe, Middle East and Africa (EMEA) and Asia. Before joining AP, Henrik was the founder and CEO of Kamera – one of the world’s leading mobile and online distributors. Prior to Kamera, Eklund founded PAN Interactive, one of Europe’s leading game publishers and distributors. Chairman and Founder, Camilla Dahlin-Andersson has been a member of parliament and served on several boards for large institutions. She is currently completing her doctorate in Innovation Management at Stockholm School of Economics and Mälardalens University. Newstag is a Stockholm-based crowd-curated news service designed to enable users to create their own personalised ‘tagstream’ – or TV Channel – sharing the stories that they care about among their social networks. By radically rebalancing the traditional relationships between industry stakeholders, Newstag offers users a unique opportunity to have a real impact on the world around them through tagging brands and NGOs. Its aim is to become the world’s largest destination for professionally-produced video news; current content providers include AP, AFP and Reuters.